A quick glance at your sales pipeline is enough to tell you how effective your prospecting techniques are. The number of deals, close ratio, average deal size and sales velocity will show you whether you are on the right track or not. These metrics cannot be improved miraculously overnight, it takes some effort. 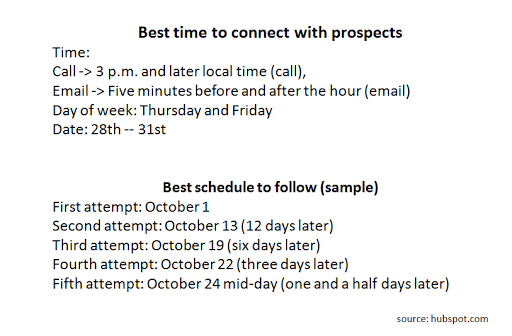 The best solution is to identify and master the best prospecting tips. And by implementing it with the help of CRM solutions, you can transform your sales pipeline sooner than you expect. Never interrupt prospects when they are busy planning their day (usually early mornings). Connect with them with the day is close to finish so that they have some breathing space to address your call. Following the best schedule allows you to set the priority tone on your prospect's mind recall. The hard fact remains that you can't appeal to the whole market at a single time. Perform a market segmentation so that you are able to know who may be interested in your products or services. This will help you make quality and valid prospects. As a sales representative you also save time by talking to the right people. For example if a market has around 200 prospects in general, only 50 may find your product or service relevant to them. Spend time, research and solidly identify the 50 and avoid the hustle of talking to 150 useless prospects. Whether you liked it or not, homework was important in school and college. The same goes for work. Doing some background homework on your prospects will help you get to know the profiles of your ideal customers. Categorize them based on the most to the least profitable. 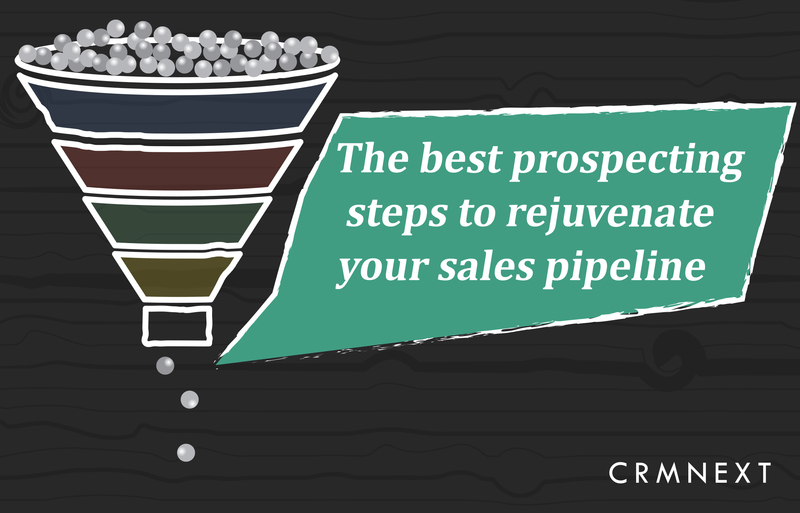 This will help you know to what level they can transform your sales pipeline. Look at your list of existing customers and know what stage they have reached in the decision making process. Do not be shy to ask a satisfied customer to refer you to someone else. The best thing with this technique is that the customer markets you directly and the new client already knows everything about your company. Sales professionals’ advice that you request for a referral not too long after the sale has been closed. Do it immediately when the client is still happy and has good memories of your product. Your connect rate will also rise significantly when you openly ask for referrals. There is no better channel to use in prospecting than social media. Worried about the noise? Use Social CRM tools to weed out clutter. Networking on social media will help you understand client preferences and market trends better. Mutual connections, if established, will reinforce point four. While you were researching, you might have stumbled upon a treasure trove of contacts, email, addresses and locations of your ideal prospects. Turn these assets into action now by contacting them. Call your clients and make it a routine thing. It is preferable to focus on calling for warm calls and emails for cold calls. In the end, prospect better to sell better with a sales CRM.